At Infoisinfo, our commitment is to be able to show you where to purchase or hire the best products and services for you and your company in Caloocan City. To ease you the installation and maintenance of your house wiring as well as the search of any electrical repair service, we’ve prepared a list of the best electrician companies in Caloocan City. 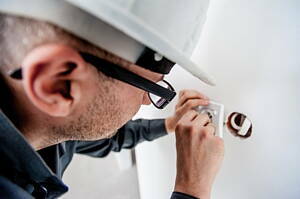 At our directory, you could also find industrial electrician services. Contact details such as phone numbers, websites, address and opening times are provided. In addition, you can have a look at comments and valuations from other clients to get a better idea about the quality of the services. If you find it useful, please do not hesitate to share your opinion too so it can help others. 33 dagat-dagatan ave. Barangay 10. Caloocan City. Metro Manila. No. 117 Tirad Pass Street, Bagong Barrio. Caloocan City. Metro Manila. Block 11 Lot 15-A Talisay Street, Amparo Subdivision, North. Caloocan City. Metro Manila. BONGAVILLA ST. SITIO GITNA KAYBIGA 166. Caloocan City. Metro Manila. G/F Suy Bee Building, 156 9th Avenue Corner Maria Clara Street. Caloocan City. Metro Manila. 19B Gen. Pio Valenzuella st. Barangay 79. Caloocan City. Metro Manila. Rm. 401 Aurelio Building, Rizal Avenue Extension Corner 11th Avenue. Caloocan City. Metro Manila. 121 M.H. Del Pilar Street. Caloocan City. Metro Manila. 46 7th Street. Caloocan City. Metro Manila. 70 Dorotea Road. Caloocan City. Metro Manila. 617 Rizal Avenue Extension. Caloocan City. Metro Manila.